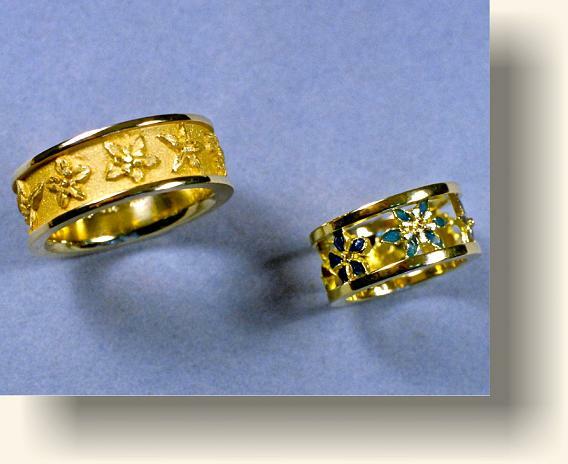 18 karat yellow Gold wedding ring set with Platinum border/frames. The Ring's design criteria was to depict a native flower from every continent. The Gentleman's flowers are rendered in bas' relief. The Woman's with hand fired enamels.